Crest Builder lands RM328m construction project. KUALA LUMPUR: Crest Builder Holdings Bhd has secured a contract by Perdana Parkcity Sdn Bhd for the construction of main building works in Desk ParkCity, Kuala Lumpur, for RM328.8mil. StarBiz Premium reported earlier on Tuesday that the construction and property developer was poised to land the contract, its second over the last week. At market close on Tuesday, the counter was three sen or 3.09% higher at RM1 a share with 2.08 million shares exchanging hands. According to the filing with Bursa Malaysia, the construction of main building works consists of two blocks of 40-storey residential apartments and a car park podium. The contract, which was awarded to the group's wholly-owned subsidiary, Crest Builder Sdn Bhd, is for a period of 33 months from Feb 9, 2018 to Nov 8, 2020, and will bring the company's order book to about RM1.3bil. "The contract is expected to contribute positively to the earnings of the Group for the financial years ending 31 December 2018 and onwards," the group said in the filing. 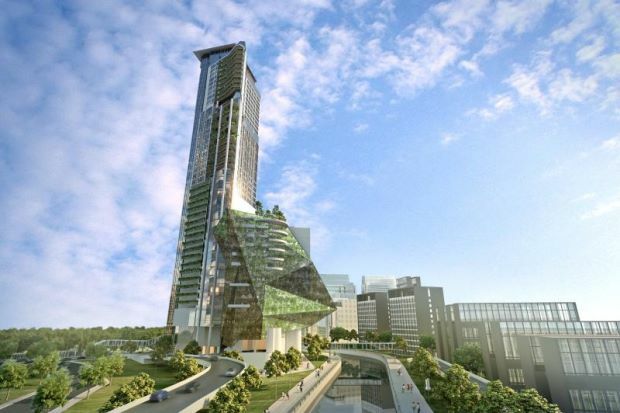 Last week, the company announced that it had won the mandate to construct the main building works of a 44-storey hotel and a car park in Kuala Lumpur for RM149.5mil. Crest Builder, which has won several large contracts to build high-rise buildings, recorded a net profit of RM20.28mil on turnover of RM342.95mil for the nine months until September 30, 2017. Turnover and profit were significantly higher compared to the corresponding period last year where it managed a profit of RM9.9mil on turnover of RM180.14mil. The company attributed the stronger performance in FY17 to the higher sales generated by its ongoing property projects. Crest Builder started as a small construction outfit in 1983 with less than 10 staff by the late Yong Soon Chow. Today it is a large builder and property developer with more than 500 people.